POM, PE, ABS, PPE, PEEK, PEEK/GF, PEEK/CF, PPS, PPS/GF, PSU, PES, PC, PC/GF, PC/CF, PC/ABS, PBT, PA6, PA6/GF, PA66, PA66/GF, PEI, PEI/GF, etc. 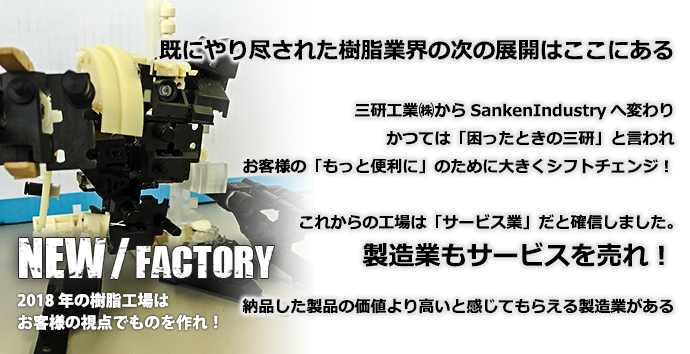 Shisakuya, “Sanken Industry” handles prototype production by resin processing and resin surface processing. We can also respond to requests of processing using jigs independently developed, spiral (screw) and transparency (not polished) processing, optical molding, and cast molding employing special techniques. 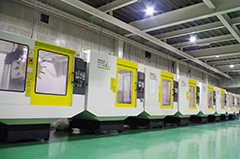 In addition, we have technical capability and equipment that meet production needs of various customers with the use of 13 machining centers for processing. We ensure short delivery of high-quality products at low cost. If you wish to request model products or prototypes of components and parts using resin, please do contact Sanken Industry. This page introduces the workflow after inquiry to us. Sanken Industry surely understands your request by having detailed meetings while making our proposal to provide the best prototypes for you. Therefore, please note that the amount included in the quotation may be changed depending on the detail of request and the result of meetings. We will convey any necessary change in advance.